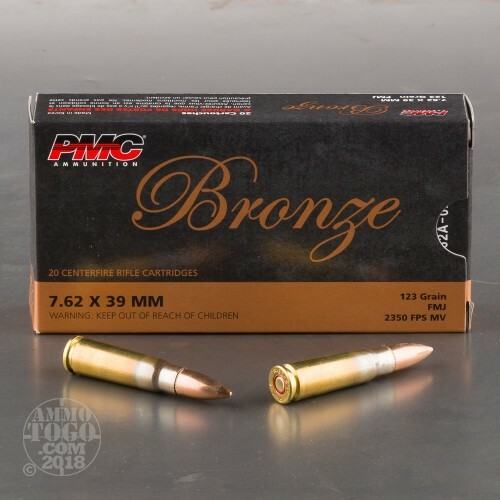 This is 7.62X39 PMC Bronze 123gr. Full Metal Jacket Ammo. 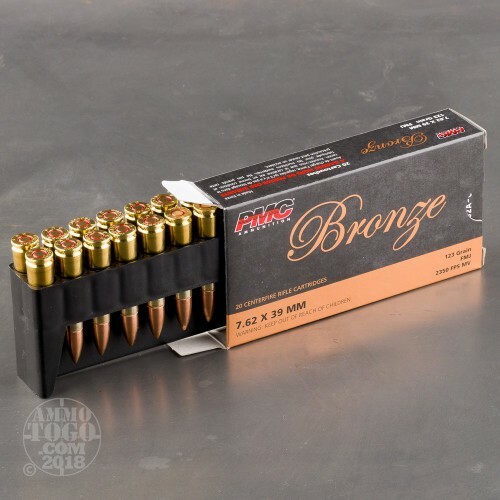 This is New manufacture ammo. The muzzle velocity is a blistering 2350fps and the energy is a powerful 1495ft-lbs. 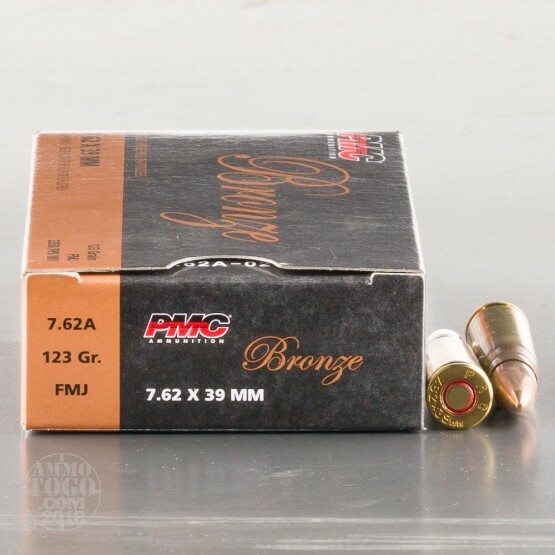 It has boxer primed reloadable brass cases, non-corrosive sealed primers and annealed case necks. 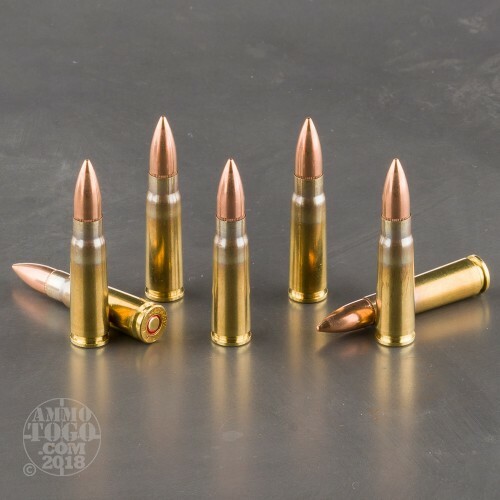 It also contains precision-made all copper-jacketed bullets which provides tight-grouping accuracy at a reasonable price. This ammo is packed in 20rds. box. Fired these through my new AR 7.62 x 39. The groups where nice and tight @ 50 yards no FTF nor FTE. My AR love's them quick shipping of my order. Will be stocking up, thanks Ammo to go! Shoot this today (10/29/2016) through my AR15 Chamber in 7.62X39. The groups where tight within a dime @ 25 yards and within a quarter @ 50 yards. No FTF nor FTE. will be buying more.